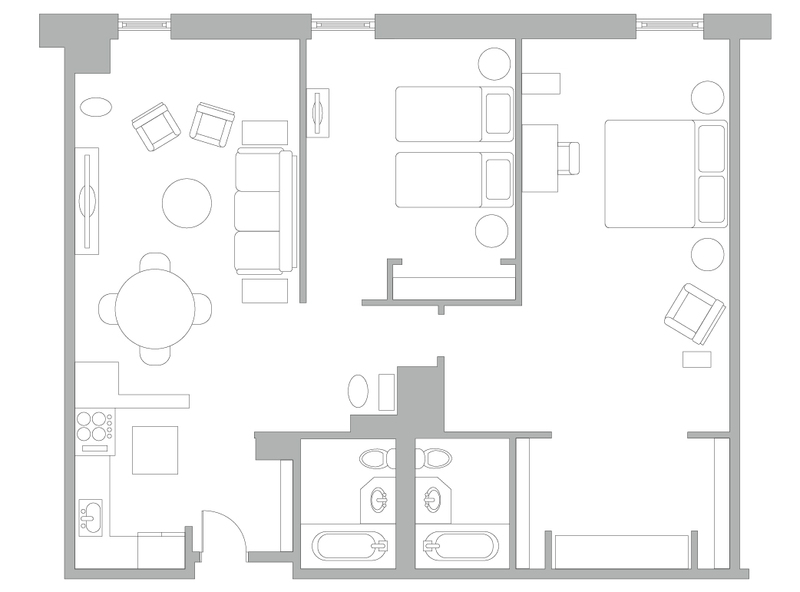 Our Two Bedroom units encompass an average of 1,250 sq. ft. (116m2) with two or three full bathrooms. Photographs by Karl Blossfeldt adorn the walls. It is the perfect unit for you and your family or friends to enjoy all that Manhattan has to offer. Like all Club Residences, Two Bedroom units feature a full kitchen and separate living and dining areas.